Gefilte fish is the least popular item at most Seder tables. The flavor is, well, acquired. With a big dollop of horseradish, most people who like the spice of horseradish can get down with it. Plain? There will be fewer takers. 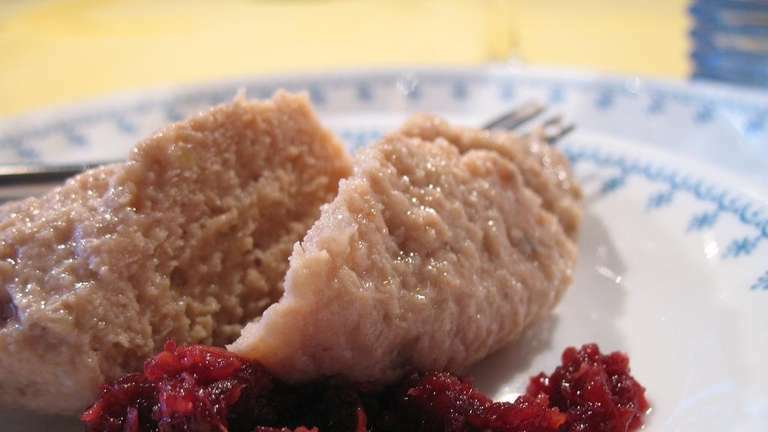 Taste aside, if something as essential to a Seder as gefilte fish is no longer an option, there will be some sadness! And as it turns out, that's just what's happening this year. And it's all the polar vortex's fault. POLL: Do you like gefilte fish? The long winter has kept the ice frozen in the Great Lakes region and parts of Western Canada, reducing the number of whitefish available for delicious, tasty patties of gefilte fish, The New York Times reported on Tuesday. Randall Copeland, vice president for operations at the Manischewitz, says the majority of whitefish used in the United States comes from fisheries in those areas. So what to do without the dumpling-like fish balls? Just ignore the desire of tradition? That isn't likely to happen in some areas of the city. Luckily for big time fans, Manischewitz — the largest producer of gefilte fish in the world — has stockpiled the goods. The fresh stuff made locally or on a smaller scale is where the shortage is truly being felt. So all you foodies looking for gourmet gefilte fish may have to go for the classic in-a-jar product.